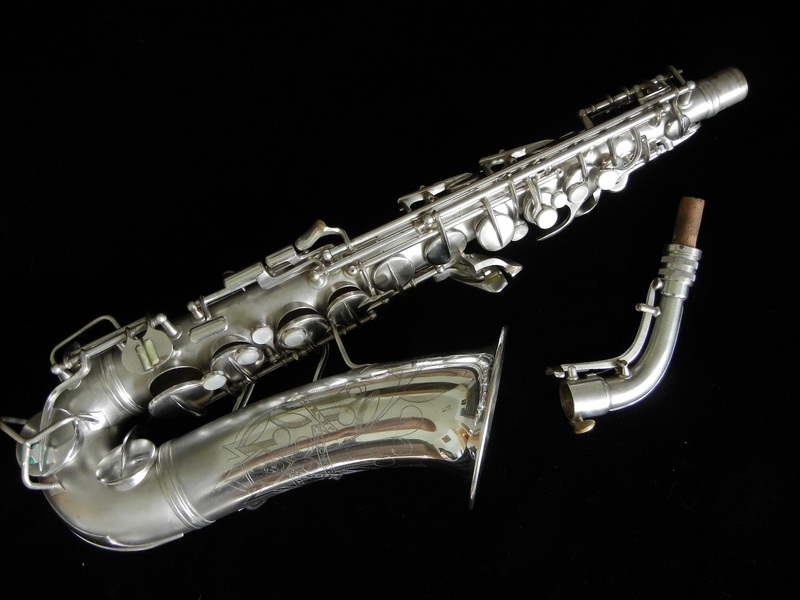 This is a beautiful condition early Conn 6M professional alto saxophone, serial 268xxx in original silver plate. 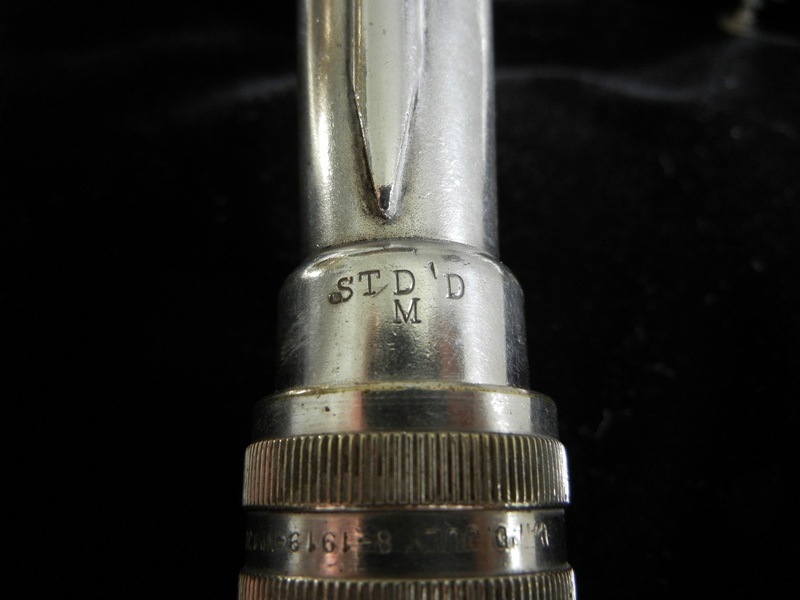 Built in 1935, this horn features the STD’D M (Metro) neck, the rocking right hand thumbrest, and underslung microtuner neck. These horns are known for their big sound, super comfortable ergonomics (although for some players the left hand pinky table can take some getting used to) and lighting fast action. 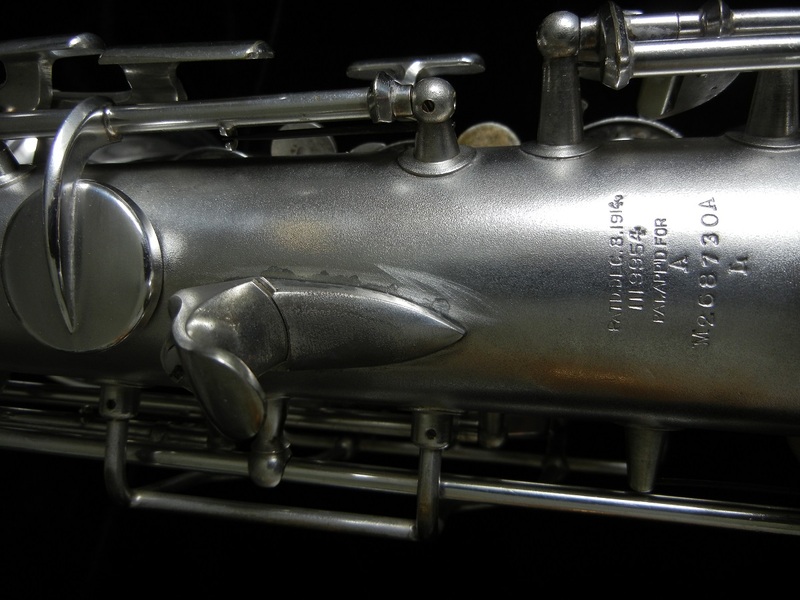 The craftsmanship on this saxophone is second to none, built in America’s foremost musical instrument factory at the height of its art. This vintage instrument is in very good physical condition, with 99%+ original silver plate and beautiful “naked lady” engraving. Scheduled for a full overhaul with flat metal resonators, this is going to be one awesome alto when its done. Once the overhaul is complete, I will replace the photos above. 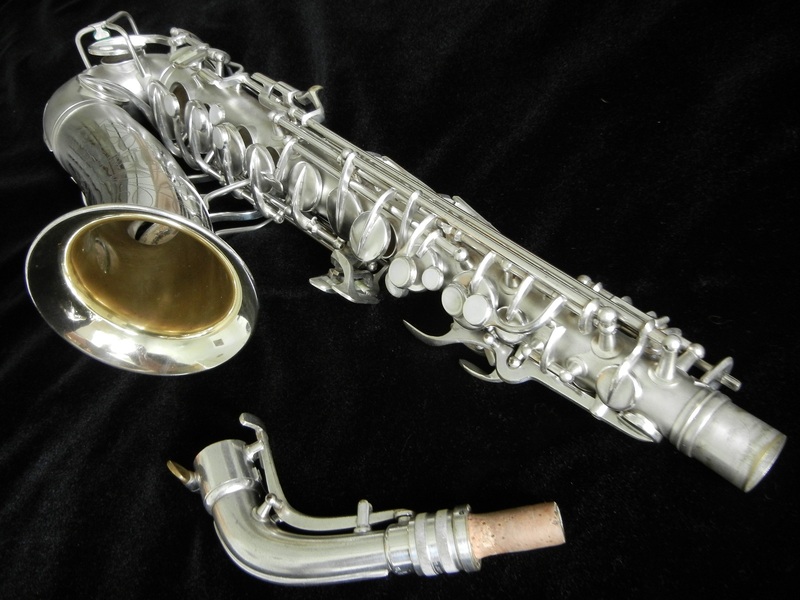 If you are interested in this horn and catch me before I overhaul it, you can purchase it and have me overhaul it to your exact specifications- although flat metal resonators on these horns is really in my opinion the best way to go! And remember- these photos are BEFORE the overhaul! That’s how clean this horn is. It’s going to look like almost new when I’m done.